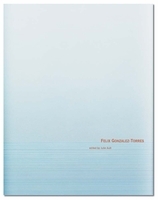 Hardcover, 7.5 x 11 in. / 664 pgs / 595 color. 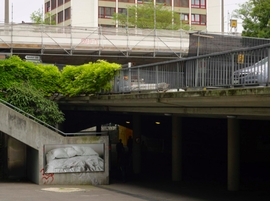 Between 2010 and 2011, curator Elena Filipovic along with artists Danh Vo, Carol Bove and Tino Sehgal, organized a visionary Felix Gonzalez-Torres exhibition across three institutions: WIELS Contemporary Art Centre, Brussels; Fondation Beyeler, Riehen/Basel; and MMK Museum für Moderne Kunst, Frankfurt. 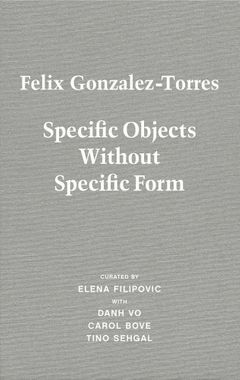 With the profound visual and conceptual potential of Gonzalez-Torres’ work in mind, Filipovic devised an exhibition structure that entailed two autonomous-yet-adjacent exhibitions of his work at each of the three venues: one iteration by her, and one by Vo, Bove and Sehgal respectively. This volume follows the show’s structure. Each venue has a dedicated section which includes a preface by Filipovic, photographic documentation of each exhibition and a contribution by Vo, Bove and Sehgal reflecting upon their positions as curators of Gonzalez-Torres’ work. Danh Vo includes photographs of diagrammatic brass wall plaques as presented within his installation at WIELS; Carol Bove offers an essay describing her personal experiences with the work of Gonzalez-Torres and the curatorial scope of her installation; and Tino Sehgal recorded a conversation with Andrea Rosen—Gonzalez-Torres’ lifelong art dealer—which captures part of their rich dialogue around the artist’s work. 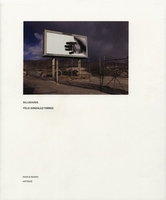 A comparative illustrated checklist documents each of the 85 works by Gonzalez-Torres featured in all their iterations. 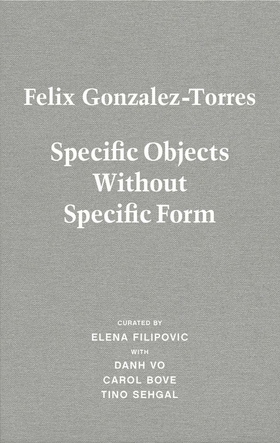 This invaluable resource showcases the radical and expansive nature of Gonzalez-Torres’ work as envisioned through the remarkable and unique voices of this important generation of artists, alongside the curatorial insight of Elena Filipovic. 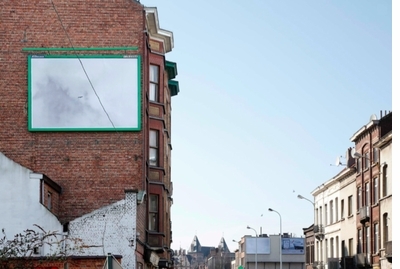 Elena Filipovic is director and chief curator of Kunsthalle Basel in Basel, Switzerland. FORMAT: Hbk, 7.5 x 11 in. / 664 pgs / 595 color.